Having firmly established himself as Britain’s preeminent golf course architect prior to the First World War, Harry Colt and his partners were keen to help drive the game’s development onto the European mainland once hostilities had ceased. By 1928 prosperity was returning to Germany and the Hamburger Golf Club looked to expand its facilities by moving away from Hamburg and into a pine and birch covered forest in nearby Falkenstein. With ideal golf ground and a remarkable resemblance to the best in Surrey’s Heathland, Colt was the obvious choice for designer and was brought in to suggest plans for the new course. Given the topography and the designer, Falkenstein was always going to have a classic British appearance, but Colt did some of his best and most original work here, routing a string of tremendous holes across a series of hills and ridges covered in the same glorious heather that made his courses in London so distinctive. 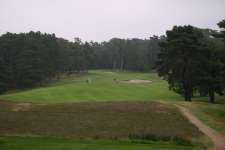 Interestingly, for a brief period following the Allied victory in World War II, the course was taken over by the British army, who golfed here and must have been delighted to discover this little slice of the English heathland in northern Germany. Despite the turmoil of the war years and subsequent decades of hardship, Falkenstein has changed little and remains a very true account of Colt’s golf philosophies. 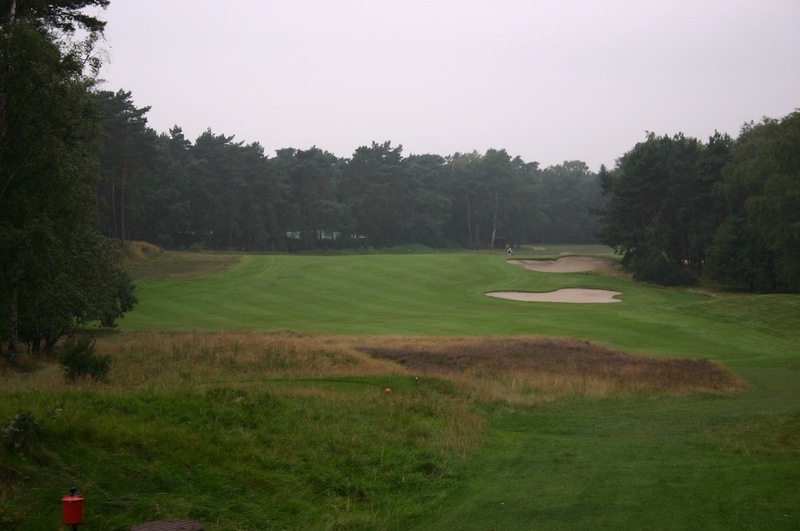 Aside from a couple of traps early in the round, his bunkering style is well preserved with rugged hazards protecting key driving areas and terrific greens which are often raised and feature just enough movement without being overdone. 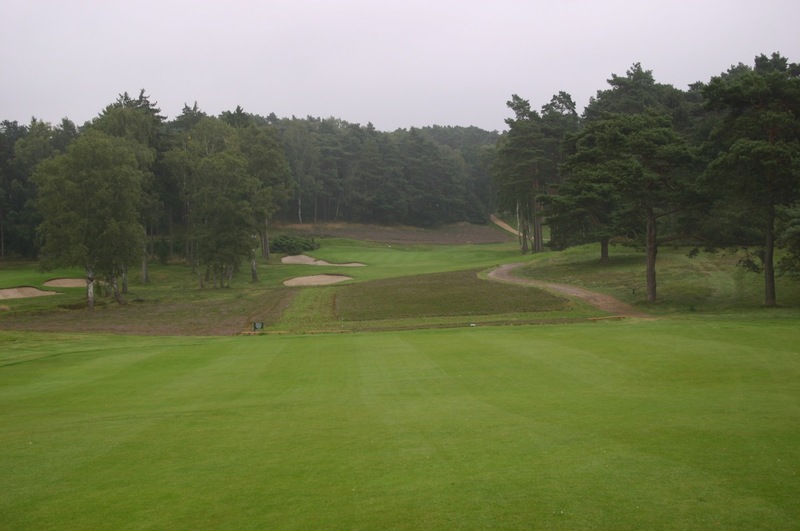 The course starts with a fairly soft opening hole that climbs into a small incline, the outward nine then skirting beside a large ridge until you reach the audacious 6th, which plays over one hill and then rises substantially into another. The back nine tends to occupy the most dramatic portion of the property and features standout holes like the 17th and the beautiful 12th and 13th holes, the latter with an unusual central bunker sitting on a ledge and forcing you to either lay back for a tricky uphill approach or really flirt with danger to get close to the green. Although the par threes are less distinguished here than at Colt’s best courses in London, the longer holes are superb and more than make up for any shortcomings. Best of all is the wonderfully natural 17th, a cracking par five that technology has turned into a two-shotter and remarkably improved. 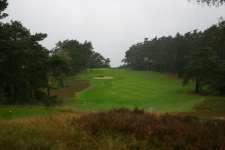 From the tee its crested fairway falls to the left kicking an ideal drive with a touch of draw further toward the target but leaving those who over-cook the shot either in sand or with a longer second angled toward further bunkers. With a gorgeous green nestled in a bowl and framed by another heather covered hill, this is one of those rare holes that is both attractive and architecturally outstanding. 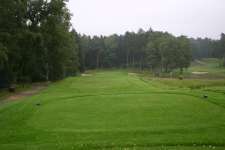 By modern standards Falkenstein is a little short but its par of 70 is well protected and the fact that it remains a strong test more than seventy years after being built speaks volumes for both the suitability of the property and the genius of Colt’s design. The club also deserves a great deal of credit for faithfully preserving its best features and maintaining the integrity of the initial layout. Germany’s premier golf club, Hamburger also houses Europe’s premier golf hole and is blessed with one of the few genuinely world-class golf experiences available on the mainland.